Fully customize your text: This Wooden keyring can be personalised with a name, a unique message, memorable date choice, to make it the perfect gift for you or someone special, for any occasion. Long Lasting: The Wooden keyring is engraved on using our amazing laser process. Engraved wooden coaster: Are engraved wooden keyrings are made from plywood. The laser cutting process leaves a slightly burnt edge, giving the Wooden keyring more depth and character. Each one is attached by a jump ring. Thinking of a way to say thank you to your favourite teacher? Perhaps you're after a unique personalised gift that will last for years to come? Then look no further. This is the key ring for you! 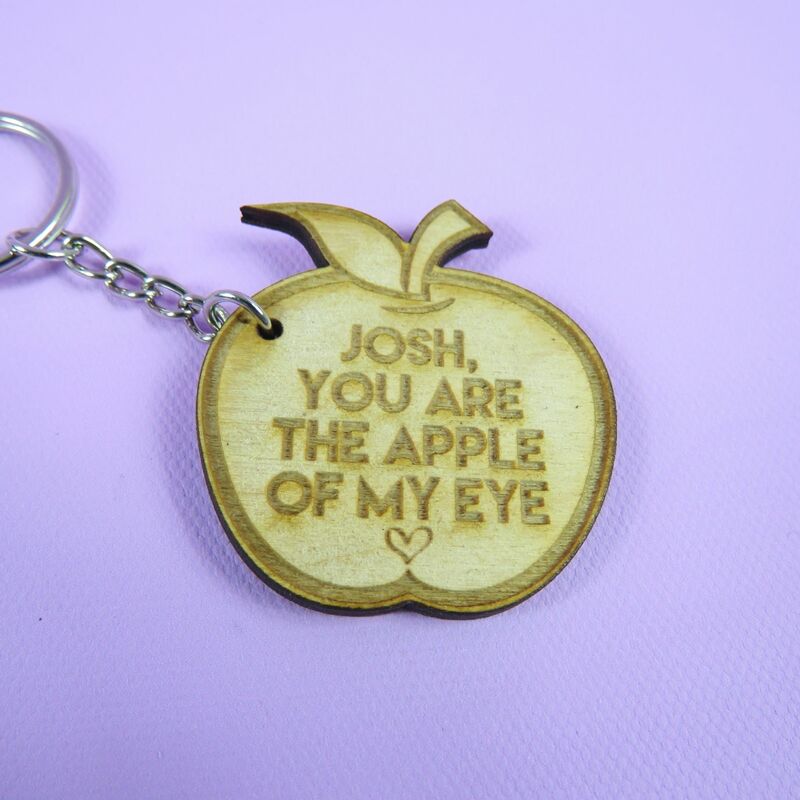 All our Engraved wooden keyrings are designed with Love and care.